I am addicted to digital archives. This morning on a whim, I clicked on a link from U.T.’s Harry Ransom Center. 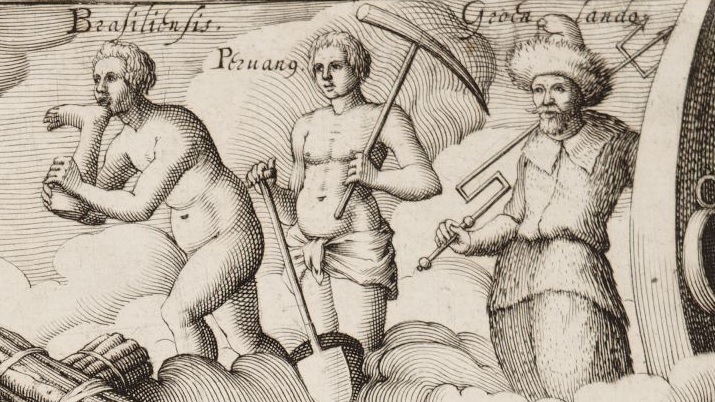 I spent the next several hours absorbed in the facsimiles of the maps from the Kraus Collection, a private collection that spans the 16th-18th centuries. 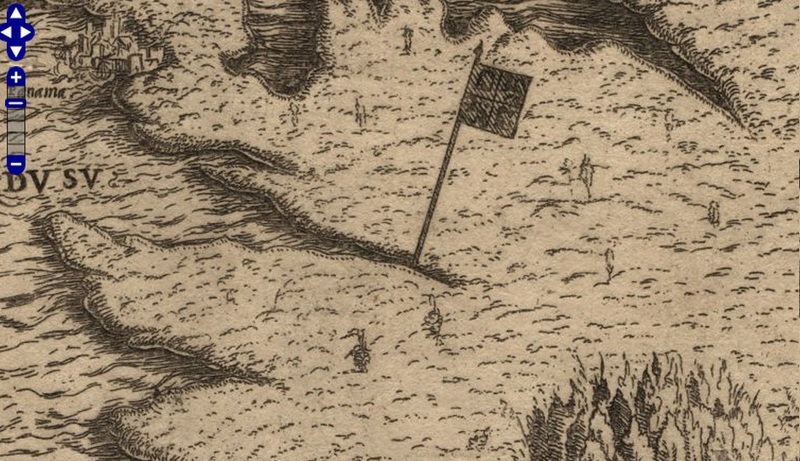 The earliest map, dated 1545, announces “Peru is the latest discovery in the New World.” It shows us an image of Peru: a flag, a forest (southeast corner), and Panama city (northwest corner.) I love how the map defines the space through action: Peru exists because a flag was planted on the shore. I love, too, this way of imagining space: if we don’t know what it looks like, there must be nothing there. It’s neat to see how geography shifts across the maps (coasts, rivers, lakes) and how the landscape is populated with new cities. Interestingly, the maps don’t seem to become more accurate, at least according to Google standards. 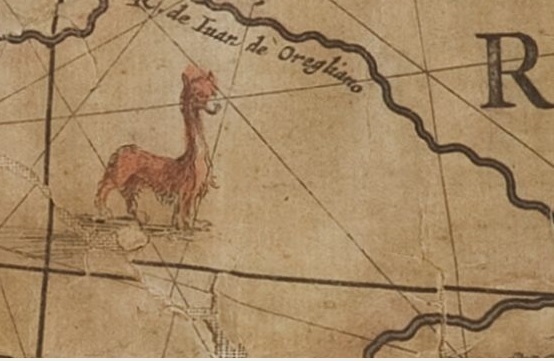 In this map, from 1648, interior Peru (or really, Brazil) was populated primarily by alpaca. 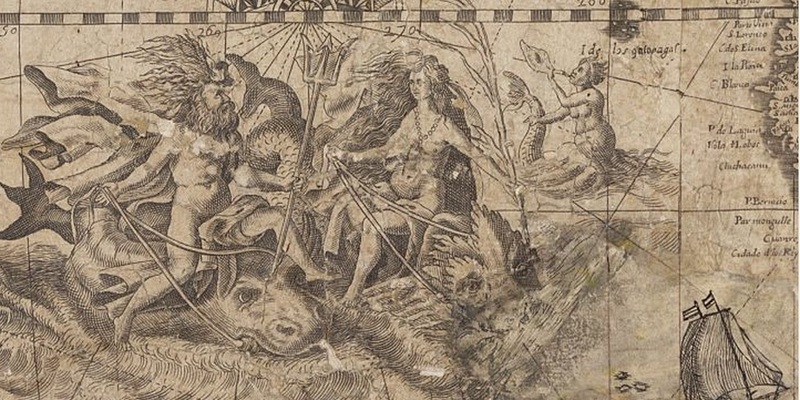 Peruvian coastal views from the 1648 map included Greek gods. These maps are delicate and (in some cases) too big to be moved, so they have only been seen by HRC staff and select researchers. It’s pretty exciting that we can now access some high-quality digital images online. Check out the collection, and some of the HRC’s other holdings, on their website. Be prepared to spend all day.